The Italian PERWANGER® Leather offers water-repellency whilst remaining breathable. This premium quality leather is trusted by major footwear brands for its proven performance and durability in the most extreme conditions. Fitted with a rubber protection over the toe cap along with added protection around the heel area providing extra protection to the leather from knocks and scrapes. Wearer comfort is gained through a climate-regulating membrane which protects against external moisture and maintains breathability. 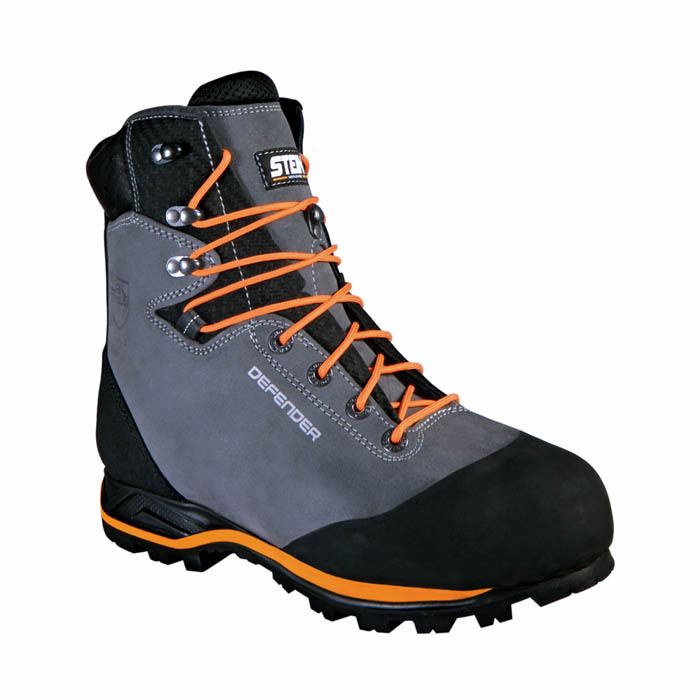 Further increased comfort is provided by the anatomical padding inside the boot along with the padded tongue. VIBRAM® bi-directional high-profile lug design increases traction and braking combined with the self-cleaning system. VIBRAM® asymmetrical heel has an undercut design for more secure braking and allows for a natural touch down when walking. The asymmetric lace to toe, speed lace system allows the upper to be tightened in the correct places giving the wearer the best fit possible. The introduction of the flat eyelets reduces the chance of catching or snagging when used in conjunction with Foot Ascenders or when Foot Locking. We offer some great accessories to help keep your boots waterproof for longer, keep your feet warm and clean your boots to enhance their life. Click here for info!